What Makes a Good Chisel? A chisel is a hand held tool with various shaped cutting edges for hand carving, or cutting, hard materials such as wood, stone or metal. A chisel, while very small and compact in size, is an extremely versatile tool that can be used for many tasks. A chisel can be used to create joints, cut and lift flooring materials for removal and repair, make intricate designs and sculpt art, cut dovetail joints, clean grooves, and much more. Chisels are excellent tools to have in your arsenal if you enjoy working with wood. Chisels have been around since ancient times yet are as useful today as they ever were. Their primary functions include cutting, planning, finishing, gouging and carving. The flat wide angle is shaped with a cutting edge or knife edge to form and shape wood or metal. This intricate work can create practical uses like forming joints or artistic work like creating statues or other works of art. Carpenters, construction workers, and sculptors are never found without these incredibly useful tools. We conducted extensive research to determine the best chisel available in today’s market by searching for features like durability, overall quality, craftsmanship, blade sharpness, ease-of-sharpening and customer satisfaction. 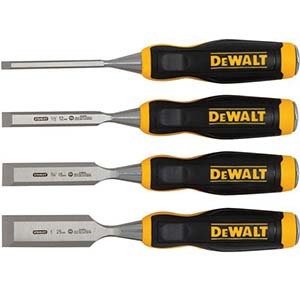 After conducting our research, we determined that the best chisel, is the DEWALT DWHT16063 4-piece wood chisel set. 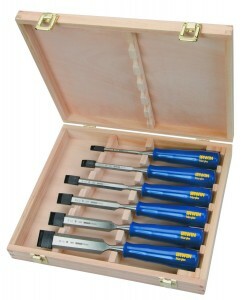 This set includes four quality chisels which are each capable of performing a wide variety of jobs. The chisel tips are made of hardened carbon steel to provide the strength needed for working with hard and soft woods or metals. The variety of sizes enables you to work on both larger and more detailed work, and the ergonomic handles offer a comfortable grip for greater control. When most people hear the word “chisel” they often only think of sculpting, not knowing the wide variety of tasks chisels are capable of performing. With their cutting, carving, lifting, and puncturing maneuvers, chisels can benefit a large range of users and complete a wide range of tasks efficiently. Some people who will benefit from using a chisel include those who participate in DIY projects, furniture makers, construction workers, sculptors, artists, home owners, and wood working amateurs. Chisels can assist in removing flooring, digging out holes, enlarging openings or creating detailed sculpture work. Chisels can perform so many tasks that virtually anyone could find a use for one. With their low cost, they are a very helpful and versatile tool that you can easily add to your collection. There are several aspects that make up the best chisels – the first being the base (handle). Having a strong handle that will not separate from the tip is essential. An ergonomic handle will add to your comfort and enable you to work longer. Given that this tool is hand held, a comfortable handle will make a big difference on hand fatigue and how long you are able to work between breaks. A handle must also be able to withstand the force of a hammer or mallet without damaging the handle. It should also evenly distribute the force from the handle to the tip which can speed up the work process and provide more control over detailed work often needed when using a chisel. The handle needs to hold up to forceful striking without cracking under pressure. The handle is what’s holding your blade and therefore needs to be crafted of a material that can withstand the pressure of impact so that your blade with not break free from it. The best chisel handles have a hardened strike cap at the end of the handle for added durability and the ability to use a mallet against your tool to get a more forceful strike when needed. The best handles are composed of materials that are both durable and comfortable. The next quality that is essential for a chisel is a blade that will remain sharp, is easy to sharpen and will be strong enough to work through hard materials. The entire purpose of a chisel is to make contact with hard materials and shape, carve, cut or change their form in one way or another. In order to do this, you’re going to need a sharp and durable blade. Carbon steel blades offer a very strong surface that remains sharp for extended periods of time. Tempering is also important as it hardens the blade and reduces chipping and cracking even when under a lot of pressure. We began by conducting a general search for chisels and determining what features and qualities make up the best chisels. We looked at both the blade and the handle, along with the number of chisels offered in the set. This helped establish the versatility and usefulness of each brand and model. After narrowing our search, we reviewed tool blogs, woodworking forums, and consulted with experts who use chisels on a daily basis. 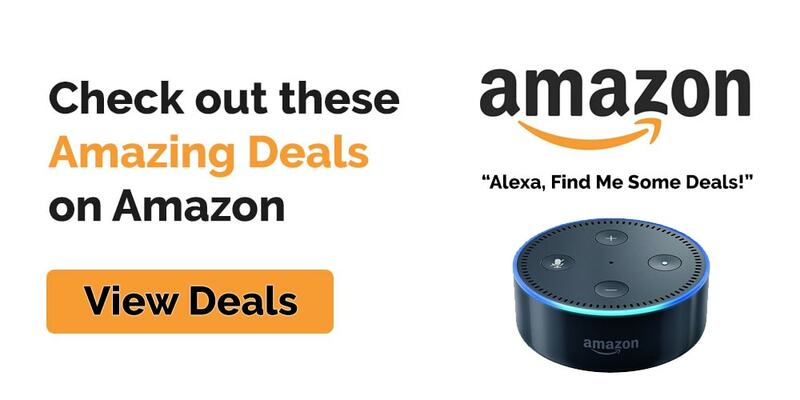 From there we viewed customer opinions and evaluated how each of our top picks stood the test of time and held up in real world performance and heavy duty jobs. The DEWALT DWHT16063 4-piece wood chisel set is crafted with hardened, tempered chrome carbon steel blades for edge retention. This helps maximize performance and create added control of your cuts and carvings. Also featured is a hardened strike cap for durability and precision cuts that can withstand the impact of a hammer or mallet without damaging or losing control over the depth of the impact on the materials. The blade on each of these chisels is also lacquered for corrosion protection and rust prevention which will keep your tools looking, and working like new. Four sizes are included in the set which includes a .25” for more detailed work. A 0.50” and a 0.75” inch tools for carving and sculpting average size pieces and then a large tipped one that is 1” wide for larger carving or cutting. 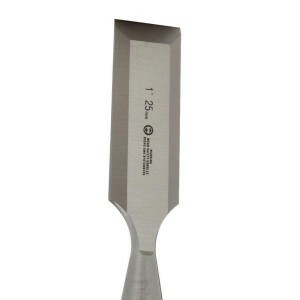 The handle is 5.25 inches in length giving you a solid grip yet maintaining complete control over the chisel. The Dewalt DWHT16063 chisels are specifically designed with a handle that will be both comfortable and functional. They are ergonomically designed to fit comfortably in your hands and are made of a bi-material that will also be long-lasting and maintain its grip on the chisel tips. These chisels can easily tackle heaving-duty cutting, carving, sculpting or any other task required. They are compact and easy to store and transport. 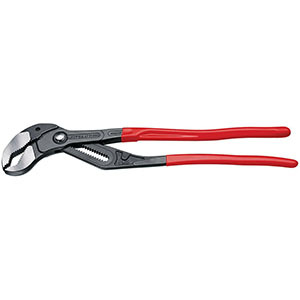 They are also affordable enough to be added to any tool collection. 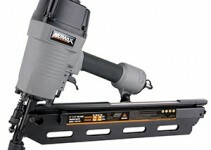 These also come with Dewalt’s lifetime warranty. 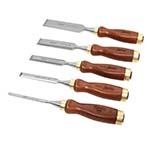 If you are looking for a larger chisel selection the Stanley 16-401 Bailey chisel set adds a 1 ¼” chisel to work with. This chisel set provides 5 high quality chisels each equipped with micro precision grind for super sharpness right out of the box. Each blade is lacquered for corrosion and rust resistance and set with a hard wood handle to provide a firm grip and comfortable grip that is also impact resistant. The handles are designed out of beech wood for a high quality look and feel. Chisel sizes included in the set are 1/4th inch, ½ inch, 3/4th inch, 1 inch, and 1 1/4th inch options. 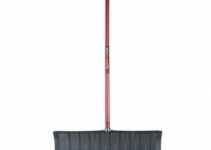 The tips are also made from carbon chrome steel metal giving you the sharpest edges available. This set is light weight and compact. Below we have compiled a short list of safety and maintenance tips to keep you safe while using your new chisel set. It also provides information on keeping them working their best for as long as possible. Keep your chisels sharp at all times, a dull chisel is a dangerous chisel, as it will require more effort to push your tool through your work materials. Use sandpaper to break up sharp or machined edges to prevent cutting yourself. Clean your chisels after each and every use. Sharpen your chisels as needed to keep them working properly. Replace broken or splintered handles before using. Store in a cool dry place to prevent weather damage and potential corrosion or rust. Oil wooden handles as needed to prevent drying. Chisels are unique and versatile tools that can perform a large number of tasks and jobs. These inexpensive handheld tools are lightweight, easy to use, easy to transport, they take up minimal space, and can be used by amateurs and professionals alike. The best chisels will provide sharp blades and secure handles to provide precise and clean finishes to a variety of materials such as wood, metal, steel and other materials.